Are you a love goddess – an energy worker who lives and works straight from the heart? 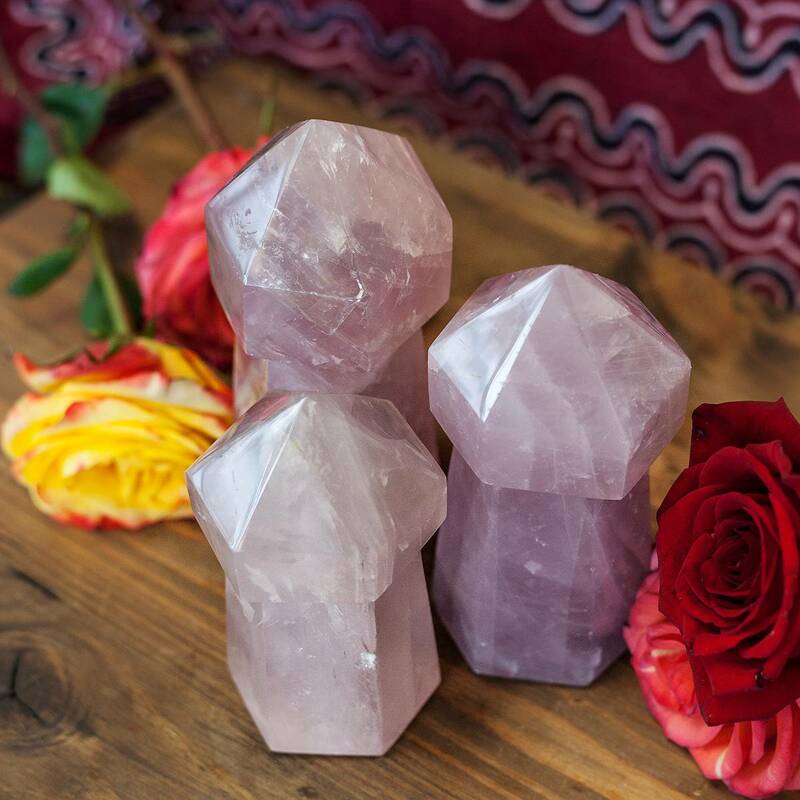 If so, you’ll want one of these gorgeous rose quartz scepters as your talisman! Exuding energies of tenderness, compassion, and kindness, these scepters are alive with the power of Divine Love, and they are just as incredible in their magic as they are radiant in their beauty. If your heart is in need of healing, or if you simply wish to bring more peace, beauty, and harmony into your home, this is the offering for you. Rose quartz is the stone of true love and deep affection; it represents the bond that transcends time and space. If you want to attract love, this is the perfect stone to use. Rose quartz is a stone of Universal Love energy – the kind of love that starts within the self and extends outward toward all of creation. 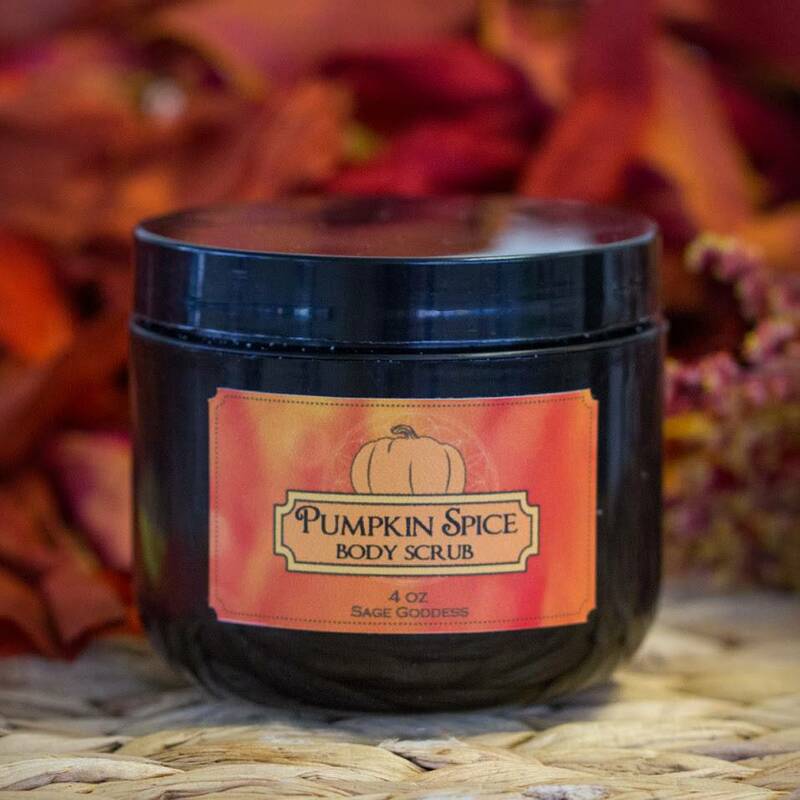 It draws love to you, brings peace during transition, and eases heartache. It probably won’t surprise you, but rose quartz is one of the most sought-after varieties of quartz in the entire world. 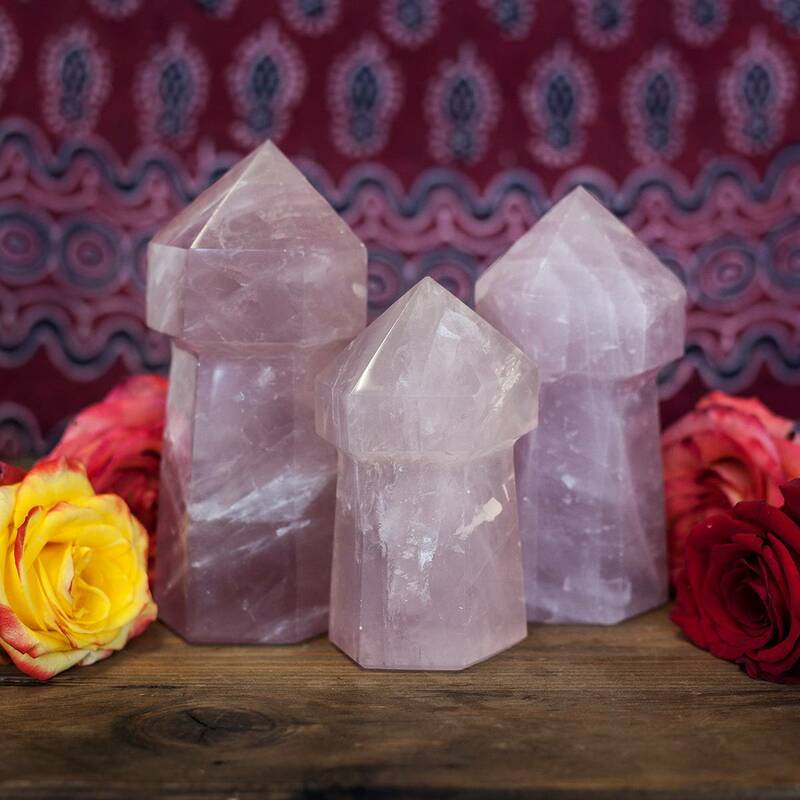 In the shape of a scepter, the magic of rose quartz is elevated to all-new levels of power. According to legend, scepters were used as symbols of spiritual power and authority in Atlantis and ancient Lemuria. This shape of stone serves to stimulate the emotional body and help you release any trapped or buried anger, resentment, or fear. 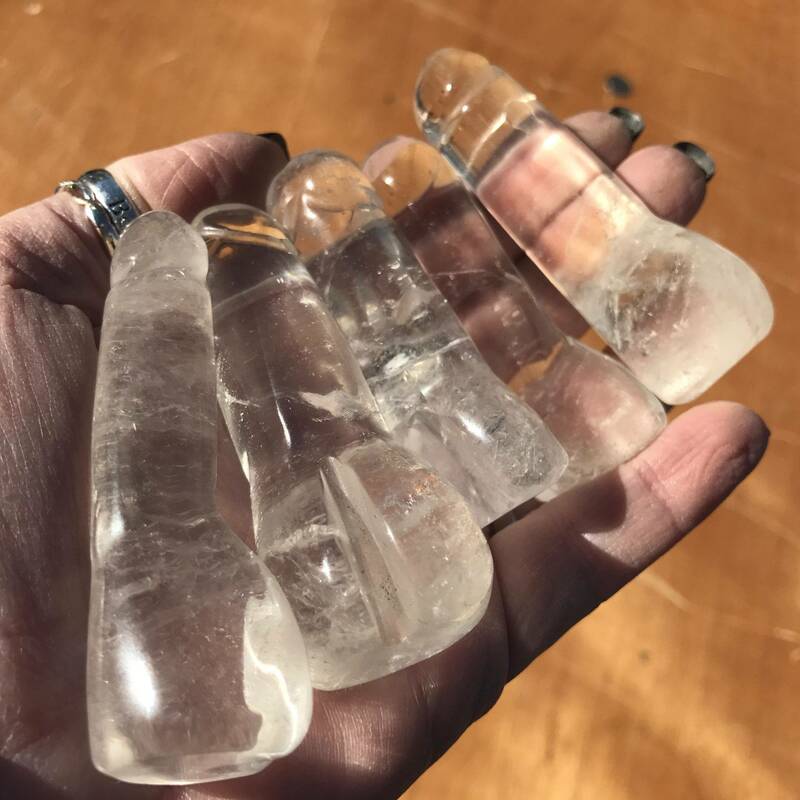 These rose quartz scepters are high vibrational precision tools that will help unearth any negative vibrations you may be subconsciously holding onto in matters of love. 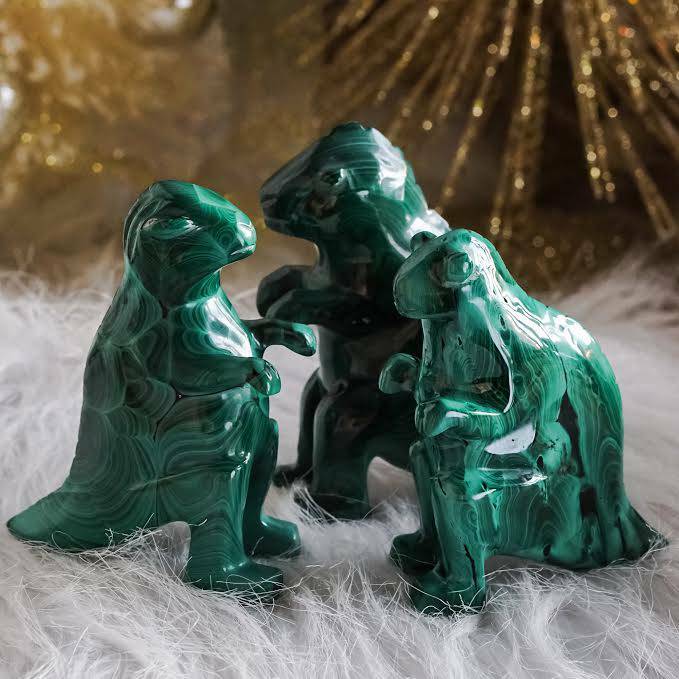 Use yours in meditation, ritual, or crystal gridding to begin harnessing its exquisite magic – your heart will thank you for it. This listing is for one (1) rose quartz scepter. I have three sizes to offer you: Small (about 4.5-5”), Medium (about 5-5.5”), and Large (about 5.5-6”). Yours will arrive lovingly parceled along with a single leaf of white sage and a card describing the properties of the stone.